Versatility – Brimfill (OFC), fill-height, fill-volume (label height), sectional volume, and combination testing capabilities. Outstanding precision – Gauge studies performed yield repeatability variances of less than 10% on specified tolerances. Stable measurement platform – Measurement technology removes weight and temperature from volume calculation. Accurate – <0.5% of total volume dispensed. 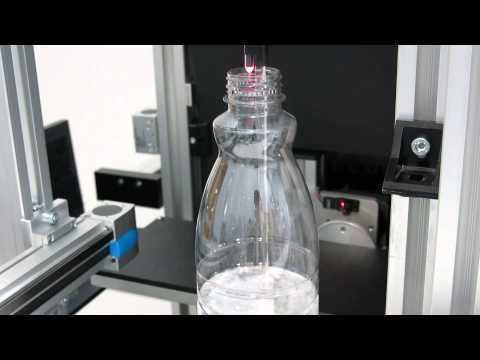 Autonomous – Loads, fills, measures, unloads, drains, and ejects automatically. Simple setup and operation – Easy initial part setup. Load-and-go operation. Volume testing is the single most expensive regular performance measurement performed in the packaging industry (based on labor hours expended). And while the tools for manual volume measurement are inexpensive, the test itself is 1) time consuming, 2) inefficient, and 3) non-repeatable / non-reproducible. To improve efficiency and repeatability and remove the user entirely from volume testing, AVID introduces the AVMS 2000. The AVMS removes the operator from the measurement process (and when equipped with automatic handling system, loading and draining). The AVMS also removes temperature and weight control from the volume calculation, using instead a “real-volume” analysis method that is far more repeatable and precise. 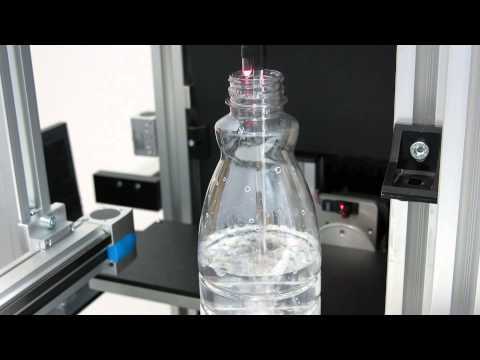 The AVMS 2000 is a fully automated volumetric measurement system. 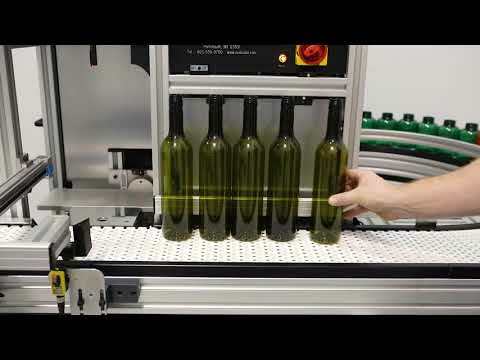 The operator is only required to load the test containers onto the conveyor and remove the drained bottles from the collection area following the testing. Data is automatically transposed and sent to either Excel or a networked CSV file for SPC handling. AVID recommends AVMS 2000 for facilities with high frequency volume testing needs. Measurement Accuracy: <0.5% of nominal volume dispensed.